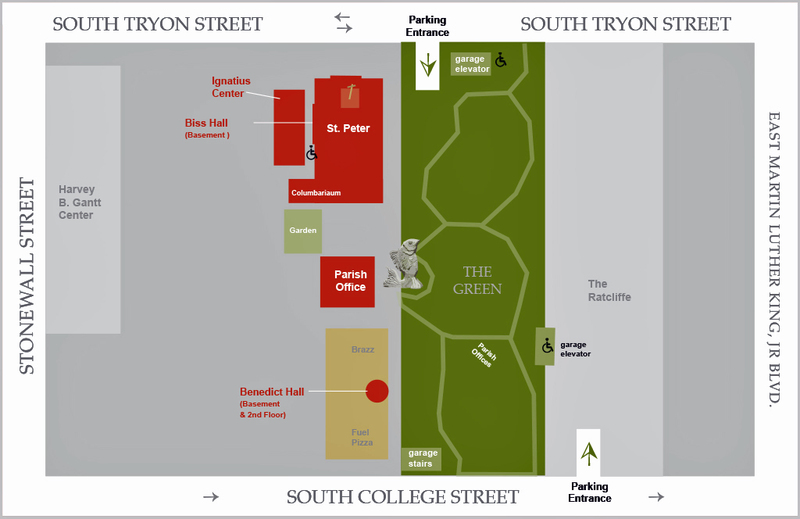 Parking for St. Peter Catholic Church is located in “The Green” parking deck. This is a below ground deck which can be accessed via South Tryon Street or South College Street. St. Peter’s parking is on the Level P2 blue section. There are two elevators which will take you to the street level/The Green park. Parishioners and guests may validate their ticket for any church event or visit. 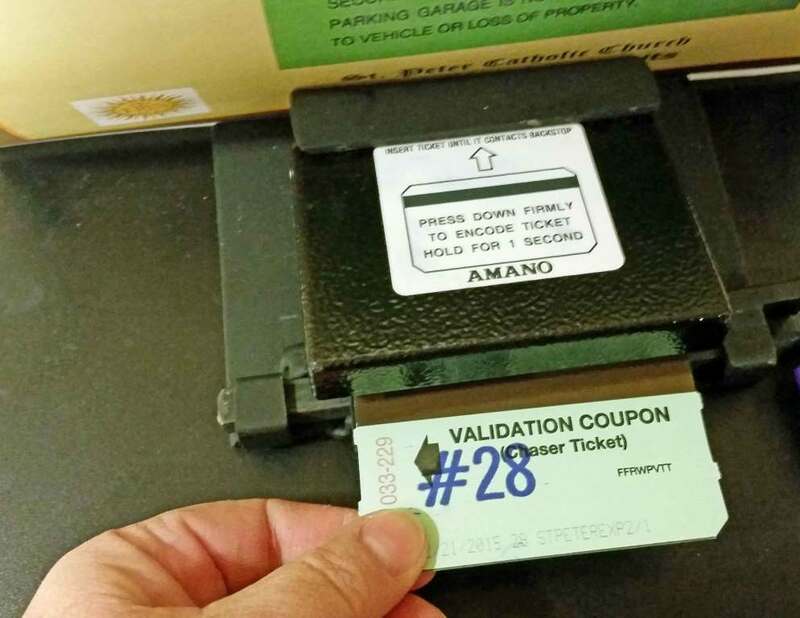 Bring your Green parking ticket to church or parish meetings, and then “stamp” your green ticket in one of the self-validators- make sure the black strip at the top is placed inside first to validate. Once stamped, you will have up to 4 hours of free parking from the time you enter the garage. the Church narthex on both tables next to the front doors. Biss Hall on a black stand. Benedict BI lower level off the elevator. Benedict 2nd Floor off the elevator to the right, on the wooden credenza. Ignatius Center in the foyer. For weddings, funerals and special events, chaser tickets will be available in our church and at various building throughout our campus. When exiting the deck, place the green entrance ticket into the machine – then follow with the chaser ticket. The chaser ticket will be good for 4 hours and if needed, more than one can be used.